After your bathroom remodel is done, you want to make sure everything stays in perfect working order! 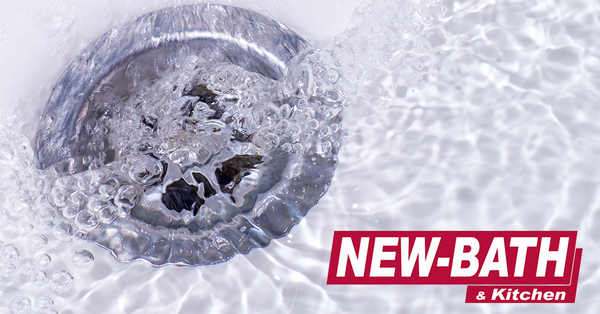 Here are several things that you can do to prevent a drain buildup in your bathroom. The first thing is to use a drain cover. When you are washing your hair all that hair you lose is going to fall into the drain. So, it a good idea to buy a shower cover for the drain. They come in a variety of different styles ranging from stainless steel and silicone. Using a drain cover is best way to keep the hair out of the drain and keep the water freely flowing. The second thing to do is to avoid getting any oil and grease in the drain. When a lot of grease builds up in the drain for a long period of time, it causes the pipes to get blocked up. That can lead to needing repairs that can add up to be very expensive. Unfortunately, it’s not a good idea to soak in the tub with a scented oil and then try to rinse it off when you get a shower. The third thing is to let the shower run for a few minutes after you have gotten out. Make sure to turn the heat all the way up and the power to full force and let the water run into the drain.This is so the shower gets a good flush and there isn’t a buildup of anything in the pipes. The fourth thing is to make sure that you have a bottle of vinegar inside of the bathroom. Vinegar has a lot of different uses and one of them is that you will be able to keep your drain clear. Every 3 months, you pour half a bottle of white vinegar down the drain. The secret is that you are going to need to let it sit for about 10 minutes and then flush it with hot water. This is going to allow the acid to remove any of the clogs that have been forming inside of the drain. The fifth thing that you should remember after your bathroom remodel is to put a container of baking soda in the bathroom. This is something else that is going to work great when it comes to cleaning your bathroom. Take a handful of baking soda and throw it down the drain. You will need to follow that with some hot water. The baking soda is going to absorb all of the odors that could be inside of your shower and the drain in the shower are going to remain clear of any types of clogs. Ready for a Bathroom Remodel? If you would like to remodel or update your bathroom, our contractors can handle projects great and small. As your general contractors, we are licensed, certified, and insured experts in home remodeling, repair, and rebuilding. When you hire us, we guarantee that your bathroom will be quality fitted with today's best safety fixtures. For free quotes, contact us so we can show you how we can convert your bathroom at an affordable price. You can also come into either of our two showroom locations that are handily located in Toledo. Call us today (419-470-8821) or email us at Info@ToledoNewBath.com.